Congratulations to Rosa of Kings Lane Farm in VA!! 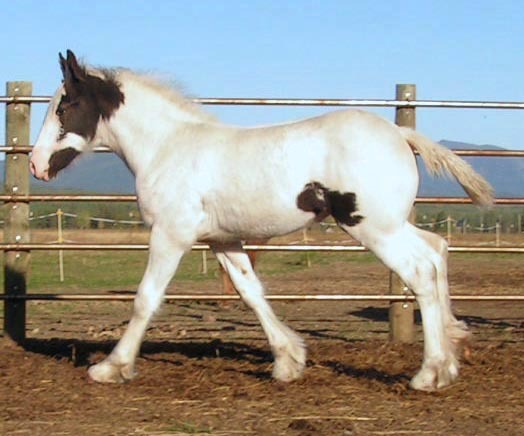 Sue is a young 17.0 hand (and still growing) registered Clydesdale mare. 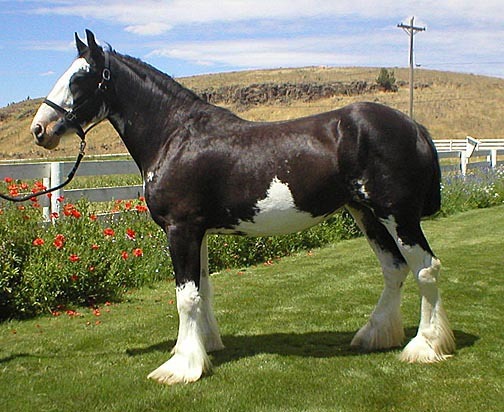 She was bred in Canada out of the well-known Donegal line of Clydesdales, which are noted for their flashy white markings. Sue is a non-fading black with extreme sabino markings. She has extensive white on her legs, body and face. 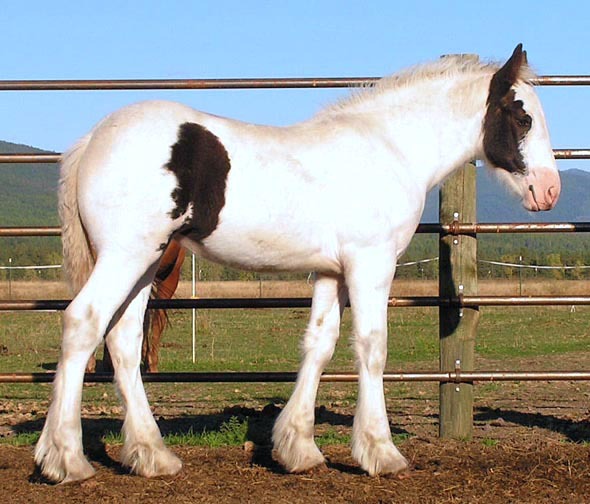 Sue is everything you could want in a larger Clydesdale mare. 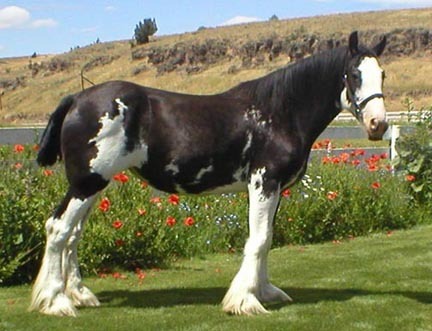 She has the classic Clyde conformation, possessing long, clean correct legs and the upright proud neck. Sue is heavy in her bone structure, yet is feminine in her appearance and balanced in her frame. Sue is incredibly sweet and gentle with people and with other horses. She is a pleasure to work with, always calm and sensible. She passes on her sweet nature and her size to her babies. Sue has the awesome high stepping carriage of the Clydesdale. She has action any big hitch driver would be proud of. Sue has TONS of straight silky feather that starts behind her knee and literally drags on the ground. This spring Sue foaled her first Drum Horse filly, Big Sky Snow, sired by the amazing Galway Warrior of Black Forest Gypsy Horses.